Gasoline has lasted as the main source of energy for automobiles throughout the past century, but many problems persist with its use, such as its fluctuating price. As gasoline (petrol) is used by the mass amount of cars traveling the streets, the total amount of carbon dioxide emitted into the atmosphere is immense. An alternative to gasoline-powered cars are compressed natural gas vehicles. Compressed natural gas (CNG) is a pressurized form of methane that retains less than 1 percent of the volume it would occupy at standard atmospheric pressure. Traditionally, the fuel is kept at pressures around 3,600 pounds per square inch. Since this fuel derives from regular methane, it is often readily available and very cheap. CNG can be pumped into suitable vehicles through compressed natural gas fueling stations, which receive gas from the utility for compression. Additionally, since the main resource used in CNG vehicles comes directly from the utility, there are options for drivers to fuel their cars using energy from their own home. For example, Phill is a small compressor appliance that runs on electricity and connects with the natural gas coming to a home, letting a driver refuel a CNG automobile. As an alternative source of energy, it is necessary to manage the use of compressed natural gas so that it can be safely and reliably used to power vehicles. 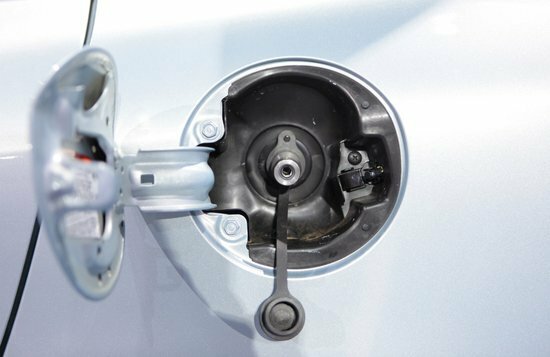 The owner’s manuals found in many CNG vehicles, such as those manufactured by GM and Honda, recommend that their cars only be filled with compressed natural gas that follows the specifications set forth in SAE J 1616-2017 – Standard for Compressed Natural Gas Vehicle Fuel. This document establishes the important chemical characteristics of viable compressed natural gas. The owner’s manual of many common CNG vehicles also references NFPA 52-2016 – NFPA 52 Vehicular Natural Gas Fuel Systems Code, which, in addition to providing guidelines for the vehicle fueling systems of natural gas, including residential applications, covers provisions for natural gas vehicles that are meant to safeguard the automobiles against fire and explosions. To make use of compressed natural gas as a source of energy, the methane is kept in a tank that is generally very large, especially when compared with a conventional fuel tank. The CNG tank consists of several cylinders that are attached to the rear, top or undercarriage of the vehicle. Natural gas vehicles are still a rarity, numbering about 22 million worldwide. Some popular available automobiles powered solely by compressed natural gas include the Honda Civic Natural Gas Sedan and the GM Express/Savana Cargo and Passenger Vans. Bi-fuel options, meaning that they contain both a gasoline and CNG tank, include the GM Impala Sedan and the Ram 2500 Dual-Cab Pickup. One of the main drawbacks of CNG vehicles is their large tank. ANSI NGV 2-2016 – American National Standard for Natural Gas Vehicle Containers specifies that the primary storage containers, the multiple cylinders that are permanently fixed to the vehicles, should “not be over 1000 liters (35.4 ft3) water capacity.” Because of these maximum size guidelines, CNG tanks suffer from a weak economy of scale, as increasing the fuel capacity requires the manufacturer to install an additional cylinder, and thus more space-occupying materials, instead of increasing the volume of a single storage container. However, this problem with tank sizing is less severe with current CNG cylinder technology. Newer all-composite cylinders that are contained within a fiberglass shell and impact-absorbing foam to protect them in the event of a crash are much more common today. 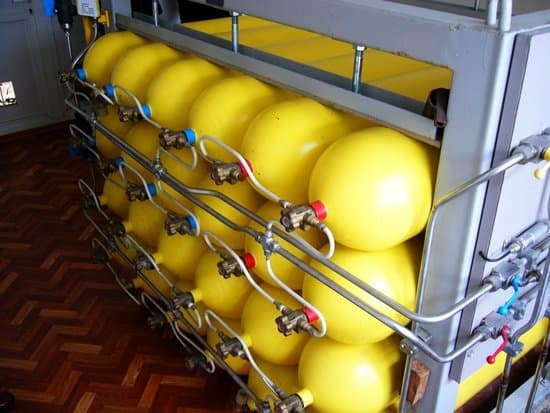 These cylinders, called Integrated Storage Systems (ISSs) can actually be housed together in a shape that represents a traditional gasoline tank. Despite compressed natural gas having a gasoline gallon equivalent (GGE) of 1.000, the storage system of CNG cannot hold as much fuel as a conventional gasoline tank. In addition, due to the expansion of gases from heat exposure, the CNG tank can sometimes only hold 75 percent (or even less) of its potential. A model like the Civic Natural Gas can really only travel about 160-180 miles, far less than its conventional counterpart. This, when paired with the scarcity of refueling stations in many parts of the globe can easily incite range anxiety in a driver. Another large issue is the price of these vehicles. Ultimately, if the driver chooses to install a home unit to make use of natural gas from their utility, they could spend an upwards of $10,000 more than they would with a similar gasoline-powered car. 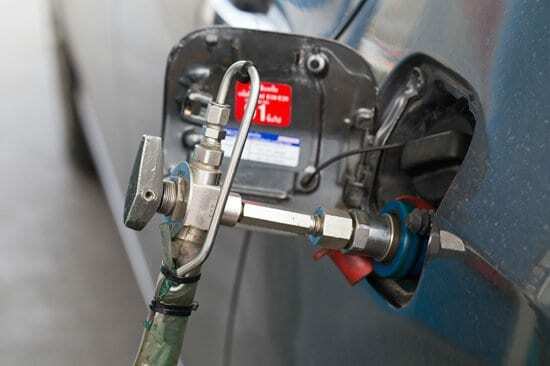 However, when it comes to the fuel itself, costs are certainly lower for compressed natural gas. During the 2000s, CNG was often half the cost of a gasoline gallon. Today, CNG averages at about $2 per gasoline gallon, and likely even less for those using home fueling units. CNG is also much cleaner and efficient. Even though compressed natural gas vehicles have a shorter range from their storage capabilities, a CNG powered car averages about 43 miles per gasoline gallon equivalent. It also emits half as many nitrogen oxide emissions, 75 percent less carbon monoxide emissions, and drastically less carbon dioxide emissions, and introduces practically no particle matter into the atmosphere. If all diesel- and gasoline-powered vehicles were replaced with natural gas vehicles in the United States, the nation would emit 20-30 percent less greenhouse gases. Currently, most of the world’s transportation energy comes from petroleum, and 14 percent of the Earth’s anthropogenic greenhouse gas emissions are from transportation. It is clear that changing one’s driving habits is one of the most important things that an individual can do to prevent climate change. 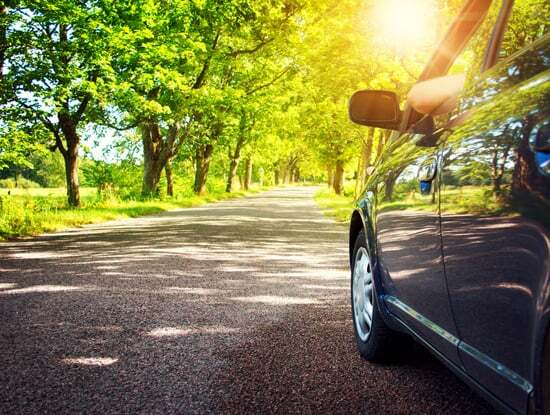 Switching from conventional gasoline-powered vehicles to CNG vehicles can accomplish this, since the latter, even while using a nonrenewable resource, are much more environmentally friendly. Today, all natural gas vehicles – including CNG and liquefied natural gas (LNG) – only occupy 1 percent of the world’s total automotive fleet, but the market for such vehicles is growing at an annual rate of 15 percent since 2008. China is the leader in natural gas vehicle adoption, where the lack of particulate matter emitted from the natural gas vehicles can limit the pollution that has been harmful to its citizen’s health. Unfortunately, a great deal of the vehicles introduced by governments operate with LNG, so the growth of the natural gas vehicle market as a whole generally does not indicate that individuals are driving more CNG automobiles. For example, in the United States, 40 percent of new garbage trucks and 25 percent of new buses are natural gas vehicles. These heavy-duty vehicles are far more environmentally friendly than conventional trucks and buses, but they are not changing the behavior of the individuals who drive their own cars. Introducing more CNG vehicles onto the road is integral for the pressurized natural gas to have a significant environmental impact. Of course, prices might have to drop to encourage the consumer to buy a CNG automobile.